The Evil DM: This is how I roll! : Been playing a lot of Comic Book Hero: The Greatest Cape! Been playing a lot of Comic Book Hero: The Greatest Cape! 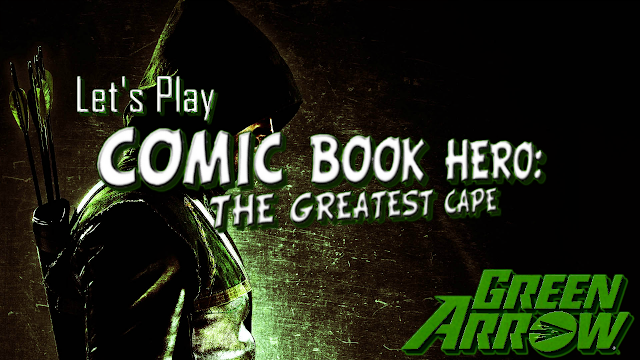 So recently I stumbled upon an older game, made around the end of 2011, by Grey Dog Software, its called Comic Book Hero: The Greatest Cape. Now I am sure you asking, so what's this have to do with RPGs and table top games? Its a computer based game! RIGHT it is, but its an roleplaying game, an old school style text based roleplaying game with decision making. The game uses random dice like rolls (hidden in the background only showing results) which makes it like playing an actual RPG with out the GM. I decided to start a "Let's Play" Series on my (mostly dead) Youtube channel. I started as playing Batman (in Episode 0), but then decided (in Episode 1) I wanted to tinker with it, adding in the Green Arrow, based off the TheCW's Arrow show, and imported him into Central City to help fight crime there. I plan on playing him a bit and then adding in a location for Star City, adding criminals there to fight with along with Team Arrow. I will try to show my process on this and my thoughts behind each step of the way. Should be fun! So why not head over and give me a like or hit subscribe to help me out?